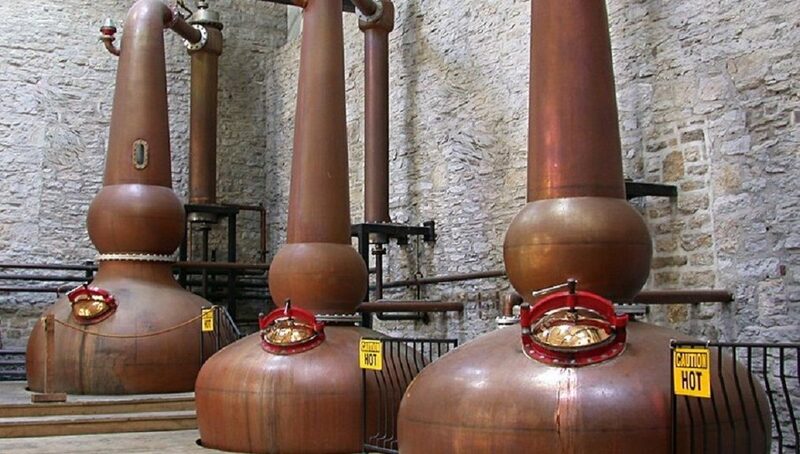 There’s Scotch, Irish and Canadian whiskey and in America we have Rye and Bourbon. 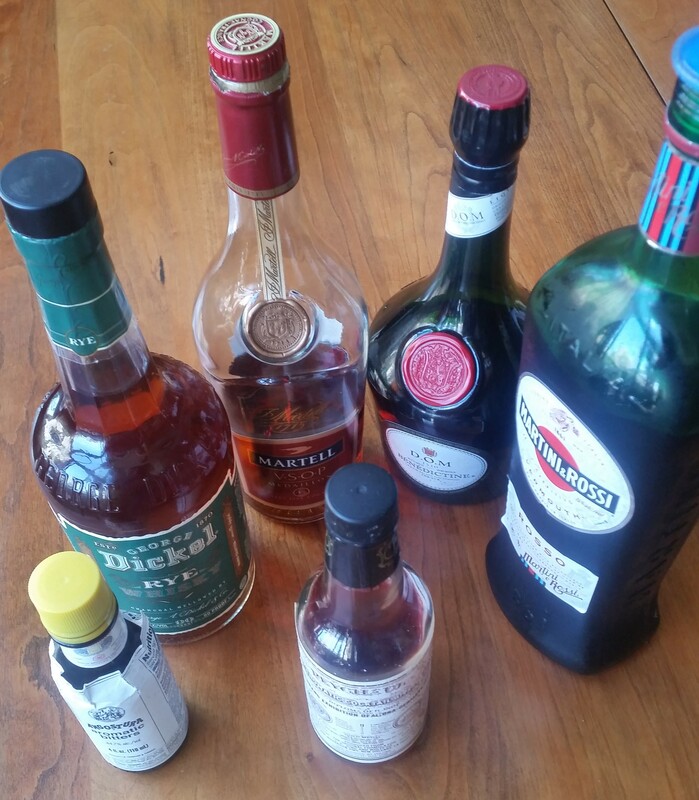 Here are three classic cocktails made with American whiskey. This one was invented at the Monteleone Hotel in New Orleans, and is named for the “The French Quarter” – le Vieux Carré (“Old Square”). 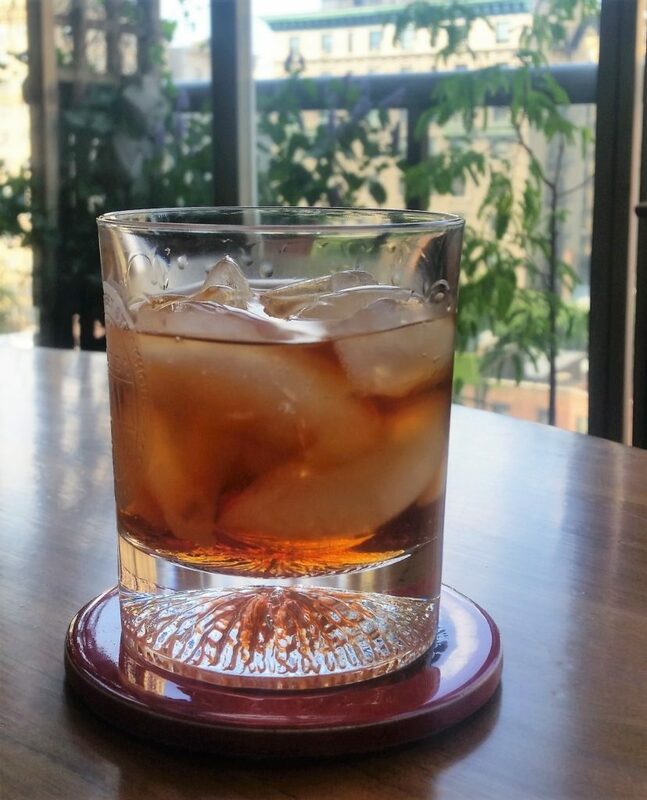 Mix all the ingredients in a rocks glass with ice. Not unlike a Mint Julep but with a bit of lemon added to offset the sweetness. 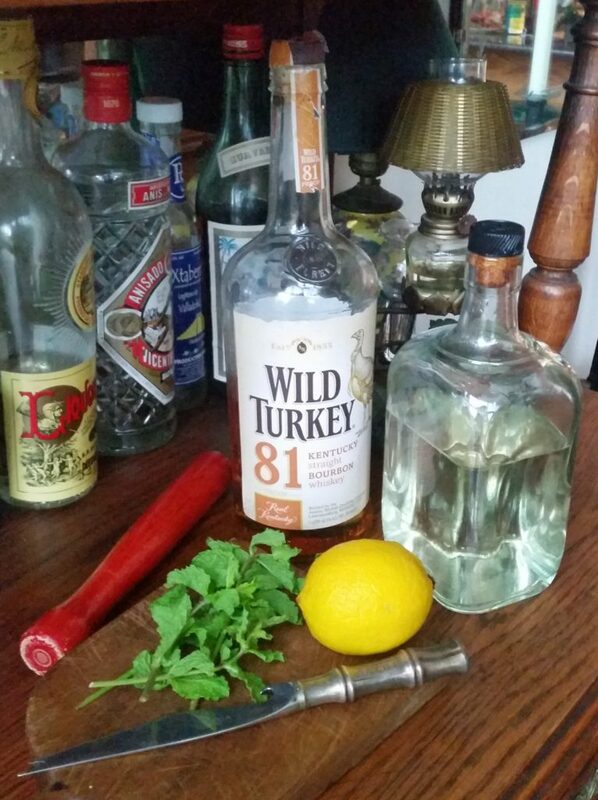 Muddle the lemon and 3 sprigs of mint in a shaker. Add the bourbon, simple syrup, ice and shake. 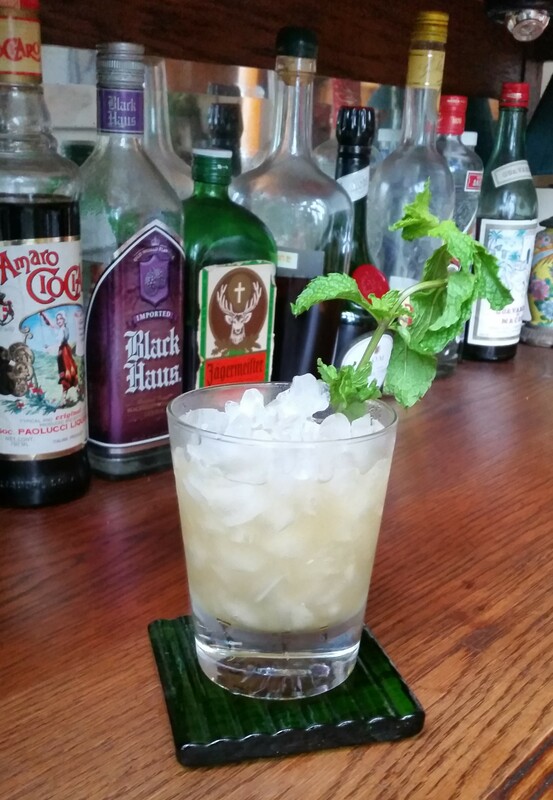 Strain into a rocks glass filled with crushed ice and garnish with a mint sprig. 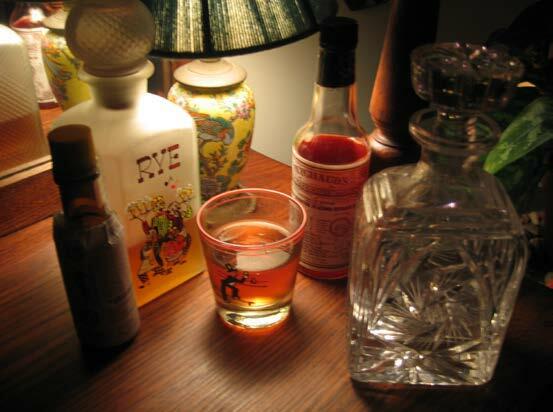 My wife Bridget and I went to four bars in the New Orleans’ French Quarter to try Sazeracs and take away the best recipe. 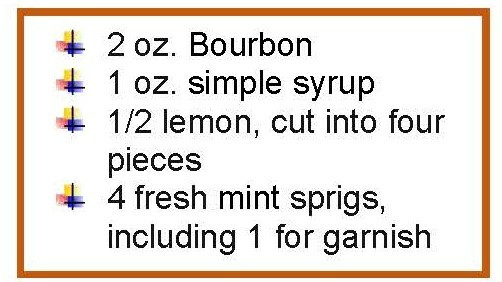 This was our favorite but after four Sazeracs I could only remember the recipe and not the name of the bar where I got it – maybe the Hotel Monteleone? 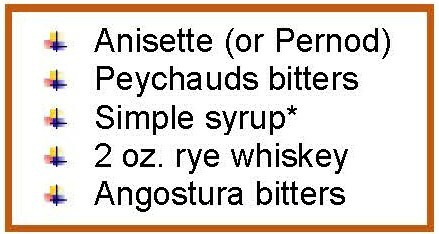 Put ½ shot of Anisette in a small rocks glass. Coat the sides of the glass with it and then add some ice. In another small rocks glass add: a few dashes of Peychauds Bitters and 1 tsp of simple syrup. Mix, add ice and stir. 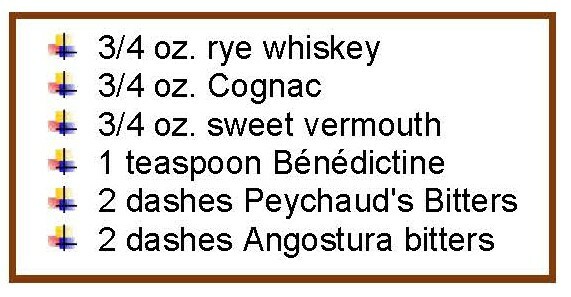 Add a shot of rye and stir. 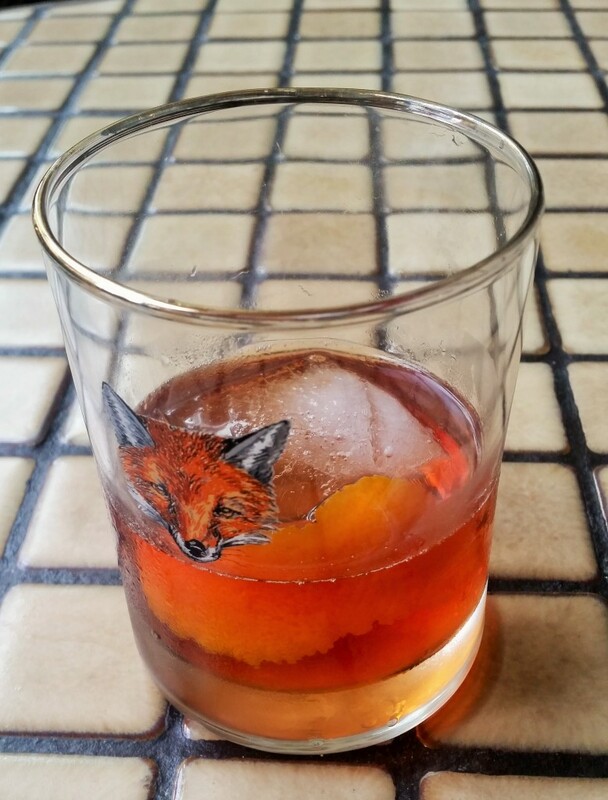 Empty ice and excess Anisette from 1st rocks glass and strain mix of Peychauds, syrup and rye into it. Float a few dashes of Angostura on top. *Simple syrup – Heat one cup of sugar in one cup of water. Stir until it’s clear and liquid.